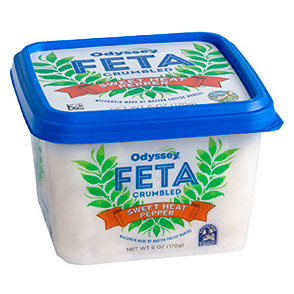 Odyssey® Feta Cheese – Klondike Cheese Co.
Our delicious award-winning Feta is available for retail purchase and for food-service use. Our current varieties are Traditional, Mediterranean Herb, Tomato Basil, Peppercorn, Sweet Heat, Reduced Fat and Fat Free. Be sure to check out our recipes for quick, healthy and delicious ideas for any occasion! 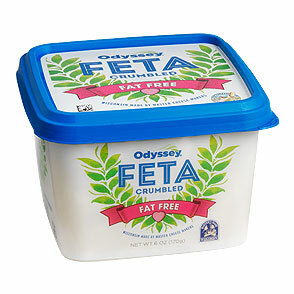 Our Feta cheese is also available for use in Food-Service. 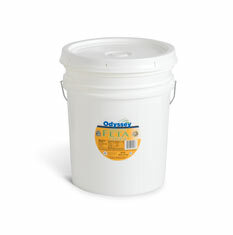 Choose from crumble, loaves, or chunk-in-brine.